Dr. Saldivia is a native of Michigan, having grown up in the Lansing area. She is a 1990 graduate of Michigan State University College of Veterinary Medicine. She also has an undergraduate degree from MSU in Animal Science. 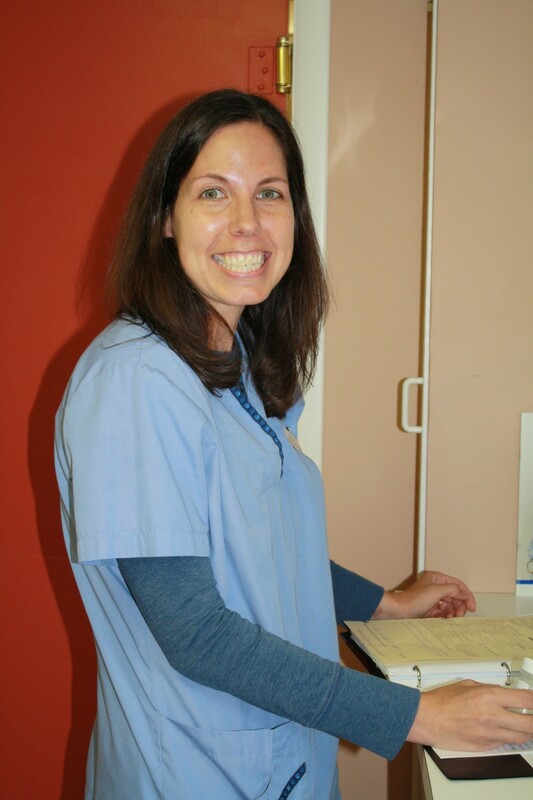 Her area of interests include veterinary dentistry, surgery and practice management. She has owned the Animal Hospital of Kentwood since 1996. 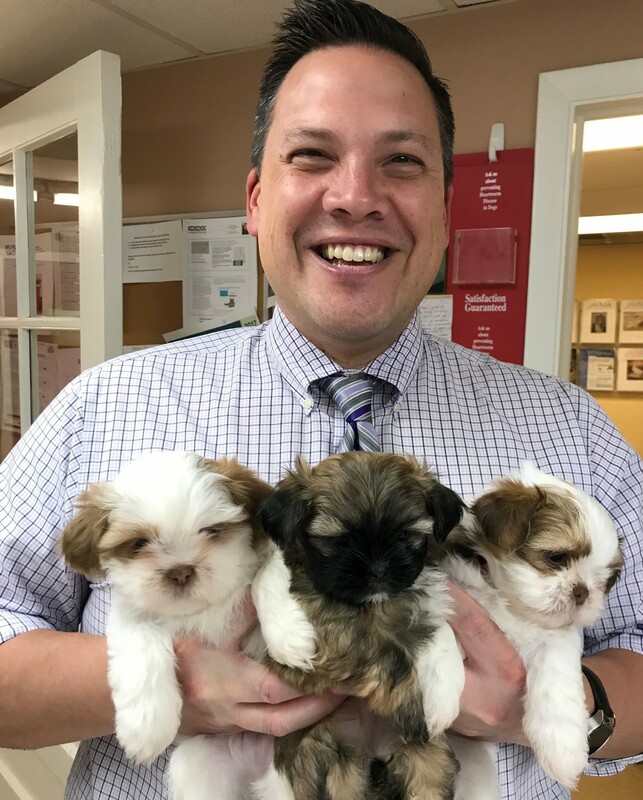 Dr. Saldivia keeps busy with her husband and four children as well as three cats Leo, Vinnie, and Mona and a very spunky Yorkie mix, Ellie. Her hobbies include being a soccer mom, reading, running and camping. Holly is a LVT (which is like a nurse in human medicine). She has a BS degree in Zoology from Michigan State University and obtained her AAS degree in Veterinary Technology from Wayne Community College. 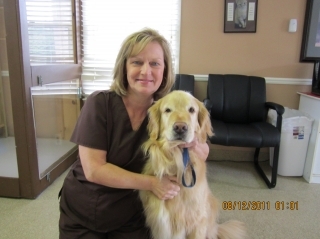 She has been a part of the Animal Hospital of Kentwood since graduating in 1998. Outside of work Holly spends most of her time with her three children and husband. She has two cats and a border collie named Daisy. Traci studied pre-veterinary sciences at Kellogg Community College in Battle Creek MI. She also graduated from Sanford Brown in 2013 with a degree in applied science. In her free time she likes to spend time outdoors with husband, two boys and her dog Labatt. 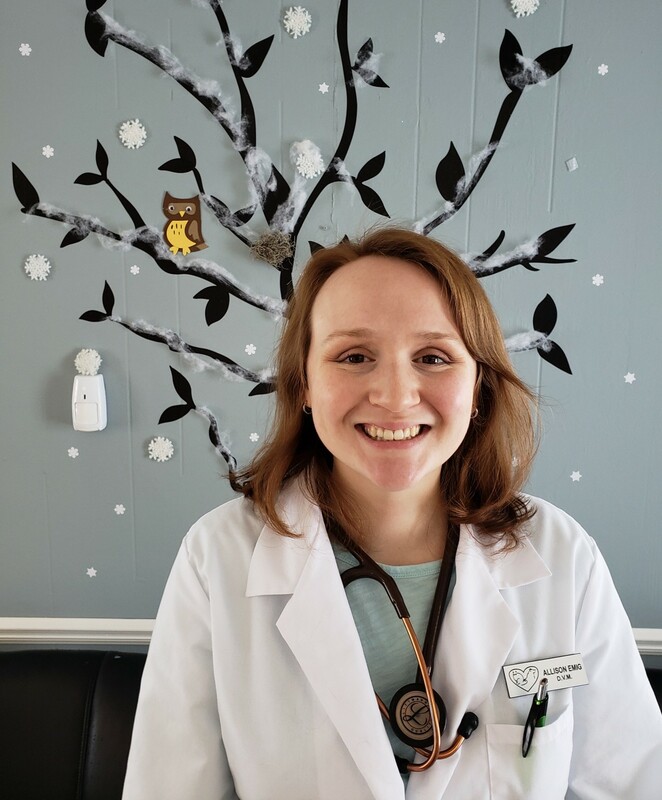 Lauren recently moved to the Grand Rapids area and has been with the Animal Hospital of Kentwood since June of 2016. Outside of work, she spends most of her time with her husband and their dog and three cats. Jaci is one of the smiling faces that greets you at the front desk most mornings at the Animal Hospital of Kentwood. She has worked with us since 1994 and knows most of our clients and pets well. Her cat, Ben, and her husband keep Jaci active when she is not at work. Jaci enjoys photography and takes many of our pictures seen around the clinic. Pam moved to Michigan to be closer to her daughter and family. We were very pleased to have her join our staff in 2011. You will find Pam at the front desk mostly in the afternoon hours. In her free time, Pam enjoys spending time with her grandchildren and being outdoors. She has three cats, Olivia, Emmett, and Garland. Meghan is currently a pre-veterinary student attending Calvin College. She and her husband have one friendly black kitty named Grace and a playful Golden Retriever named Nico. In her free time, Meghan enjoys reading, relaxing in the sun and spending time with family and friends. You may recognize Mary Jo if you have been around AHOK for awhile. She worked with us from 2000-2010 when a family job move took her to Texas. Fortunately she is back in Grand Rapids and has re-joined our team on Saturdays. Mary Jo is a native of Wisconsin and a busy, full time Mom of two kids, 1 dog, Tucker, and two cats, Penny and Nacho. 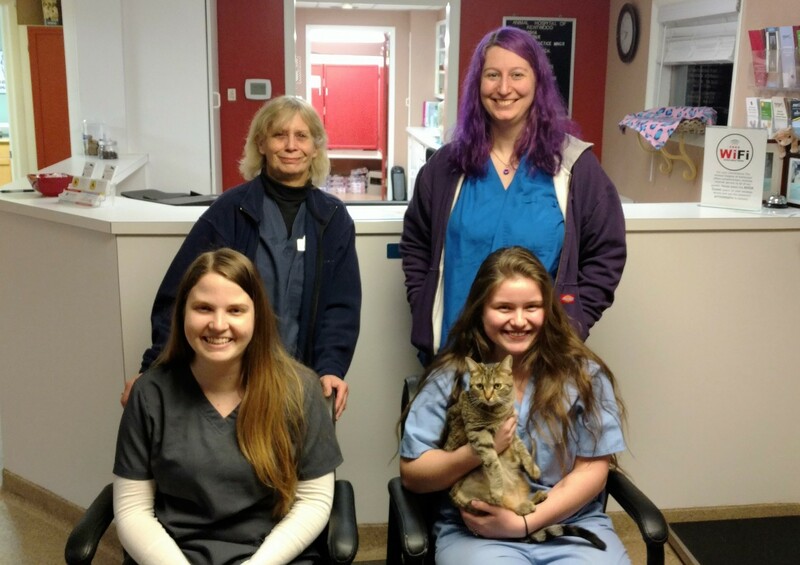 Our clinic kitty Princess Prudence couldn't miss the opportunity to be part of the photo.